Now that we’re into July, festival season is well and truly upon us. Who says you can’t look great in a muddy field full of sweaty strangers? 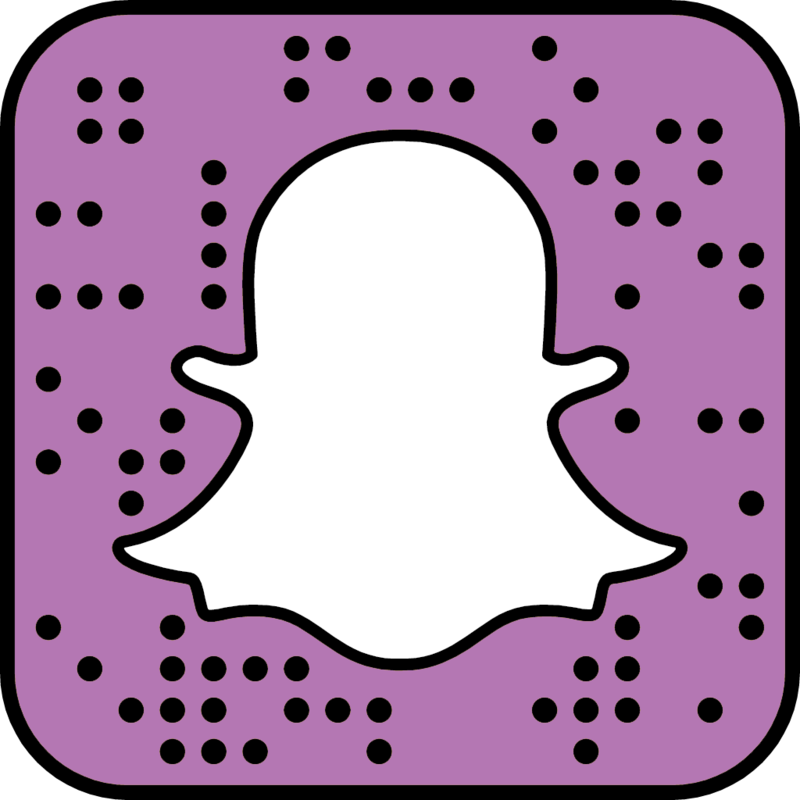 Here at Model Students we have your back when it comes to planning your perfect festival hair and makeup looks, check out our five favourites below! Glitter! – if there’s one time of the year to smother yourself in glitter, it’s festival season. From glitter eyeshadow to glitter hair and body spray, there’s no such thing as going overboard with the glitter. 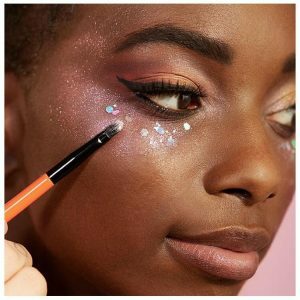 You can pick up glitter products really cheaply from any beauty stores, and with a massive range of colours to choose from, you can’t go wrong! Apply loose glitter by first using Vaseline or gel on your chosen area, and then dabbing your finger in the glitter to put on top. Also, add some setting spray to make sure it stays in place all day long. To the right is one of our fab models Fiona showing us how to rock the glitter in a recent shoot with Boots. Fluorescent paint – the ideal companion for glitter, fluorescent paint screams festival. Grab yourself some small tubes, squirt a blob onto the back of your hand, and apply in dots on your face using a cotton bud. It might be a little messy, but worth it for when the lights go down and your whole face is glowing. Mix it up with different neon colours, just be careful not to smudge it throughout the day. Beads – stick-on beads are less messy than paint or glitter, and shops like Primark and New Look sell sets for a couple of pounds each. They can often be found in silver and gold colours, meaning they match any outfit and are sure to give a bit of glitz to your look. Get yourself some spare glue (eyelash glue works a charm) and some tweezers to help you to apply them. 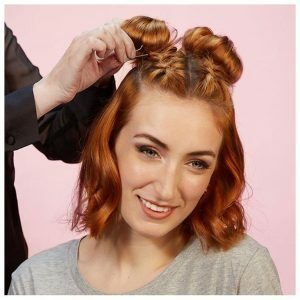 Space buns – a quick and easy hairstyle to master, space buns are a great look that will keep your hair out of your face. They suit all kinds of hair types, and it’s your choice whether you would like to have a half up-half down look, or use your whole head of hair for the buns. All you need is some hairbands, pins and hairspray and you’re good to go! The lovely Pamela models this hairstyle wonderfully below. Plaits – although this one requires a bit more practice, it definitely pays off when it comes to festival looks. Whether you decide it’s French plaits, Dutch plaits, or a fishtail braid, any style of plait will work wonders. Watch a speedy how-to video on Youtube and take along plenty of hairbands. All of your friends will be nagging you to do their hair throughout the festival weekend! Also, don’t forget to take some dry shampoo along with you if you’ll be away for a few days. Let me know of any festival looks or hacks you have. Have a wonderful summertime and enjoy any festivals you may be attending.